A.O. FANIRAN, Ph.D; O.A. Faniran, Ph.D. 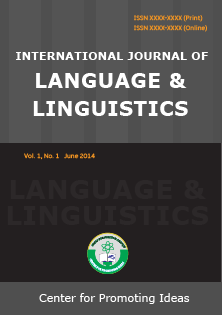 In this paper, we define lexical abstractness and examine the part which it plays in the comprehension and appreciation of poetry in English. The paper gives the formula for calculating the lexical abstractness of a poem and, indeed, of any text, and argues that the more lexically abstract a poem, the more difficult it is most likely to be for students to comprehend and appreciate. Other factors seen as affecting students’ comprehension and appreciation of poetry are lexical density and new word density. The paper then defines these factors and gives the formula for measuring each of them. Three assumptions underline the study: the higher the lexical abstractness of a poem or text, the more difficult it will be for students to comprehend and appreciate; the higher the lexical density of a poem or text, the easier it will be for them to comprehend and appreciate; and lastly, the more the new or unknown words in a poem, the more difficult the poem will be for students to comprehend and appreciate. In view of the above, therefore, we recommend that teachers that handle the poetry aspect of Literature either at the secondary or tertiary level of education should consider all these factors before presenting this genre of literature to their students.